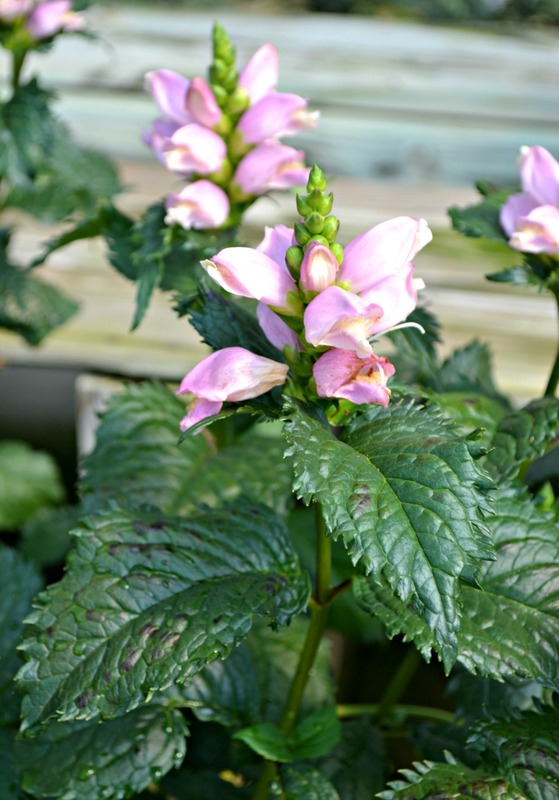 A September to November bloomer with lavender -blue flowers high above tobacco-like foliage. 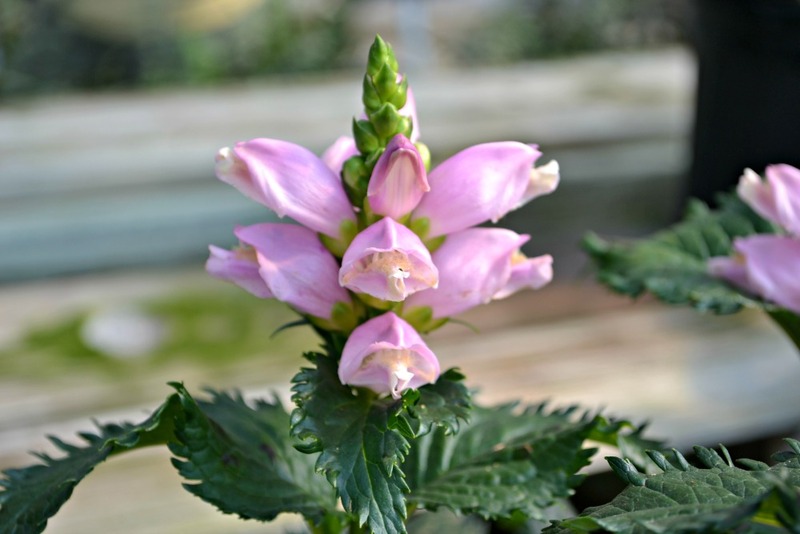 Grows 48-60″ tall which makes it perfect for the back of a perennial border. 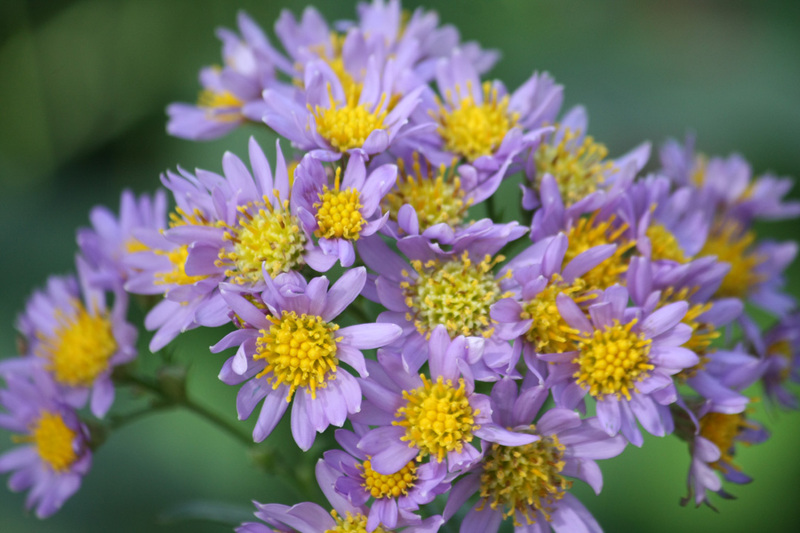 This Aster prefers part sun to part shade, its drought tolerant and the butterflies and hummingbirds love it! A fun late season bloomer with whimsically shaped bright pink flower that resemble the head of a turtle. 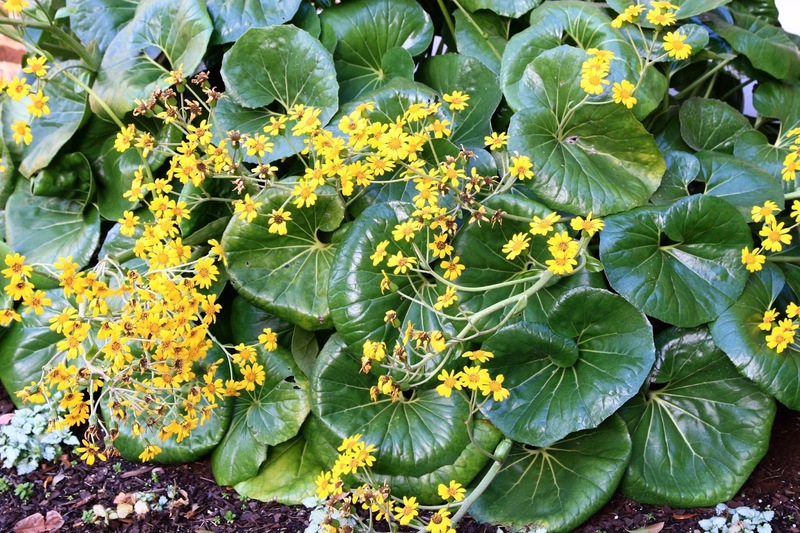 Use for moist areas or naturalizing along the water’s edge. 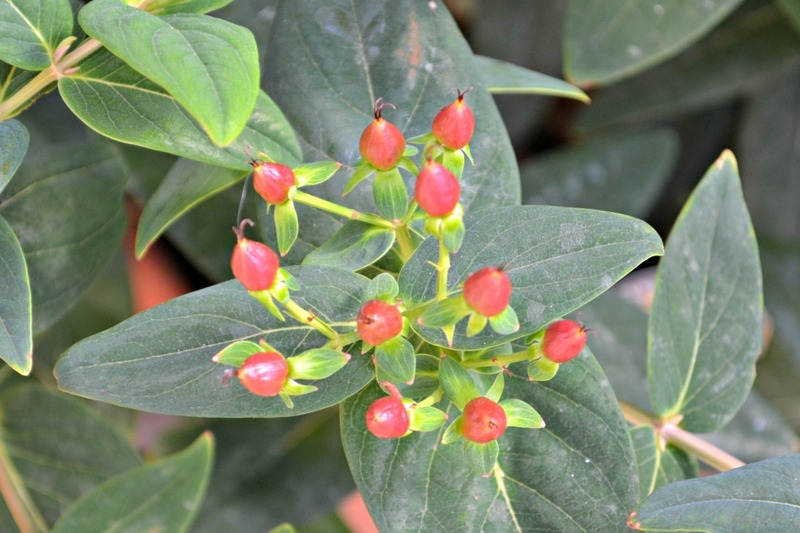 Turtleheads prefer sun to part sun, love moist areas and are deer resistant. 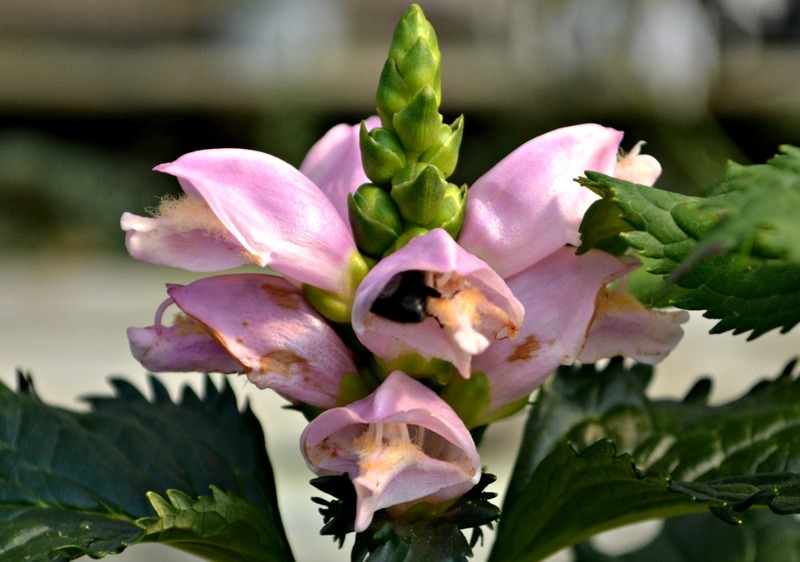 The long, tube-like flowers are also a favorite of butterflies and hummingbirds. Bold and beautiful! 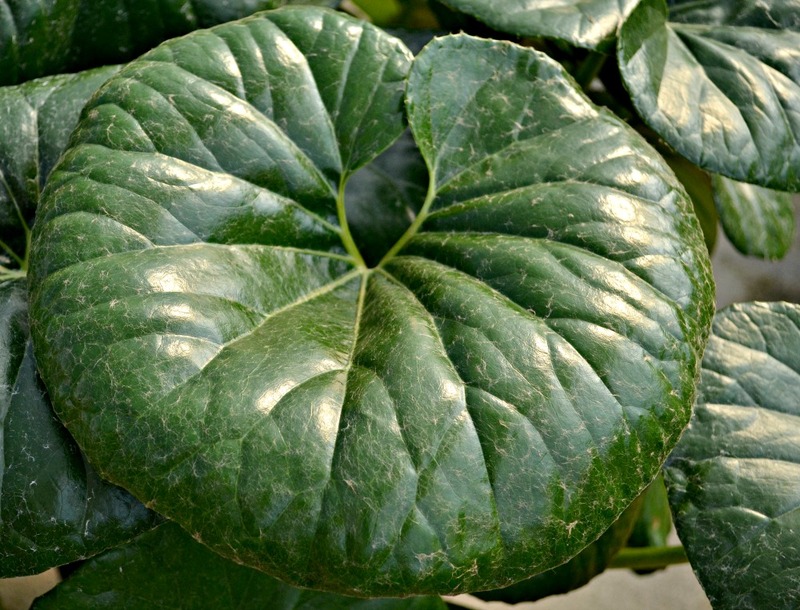 This part sun to shade loving perennials has giant 15-inch rounded, leathery, glossy-green leaves that grow in a clump up to 30 inches tall and wide! 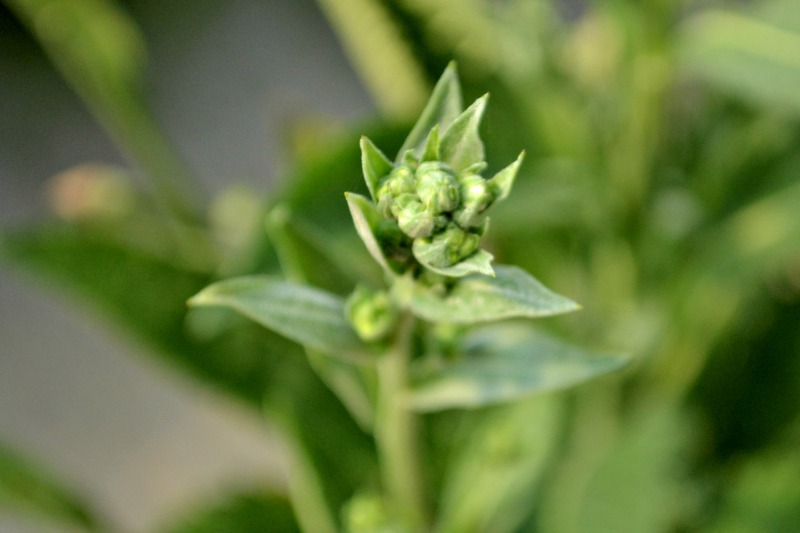 Unexpected, yellow daisy-like flowers appear in late summer through early fall. 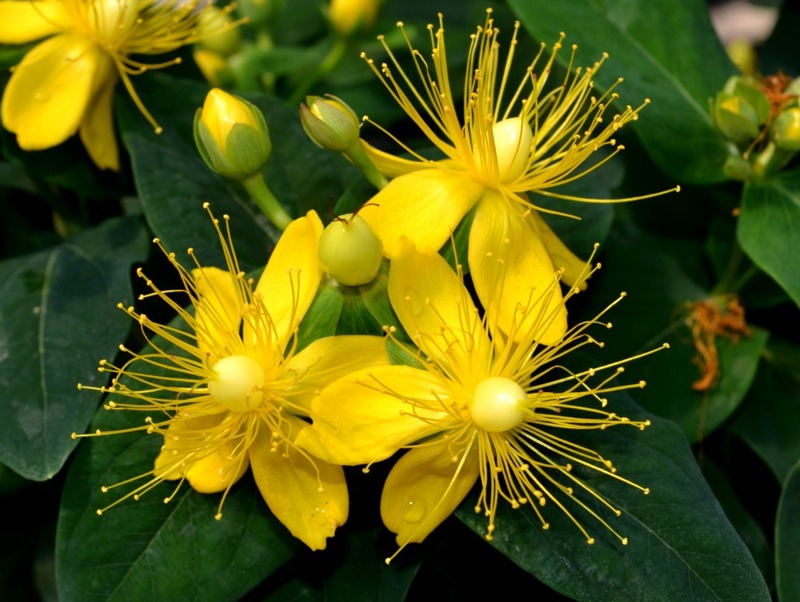 This unique perennial shrubs works wonderfully in the landscape or in containers. 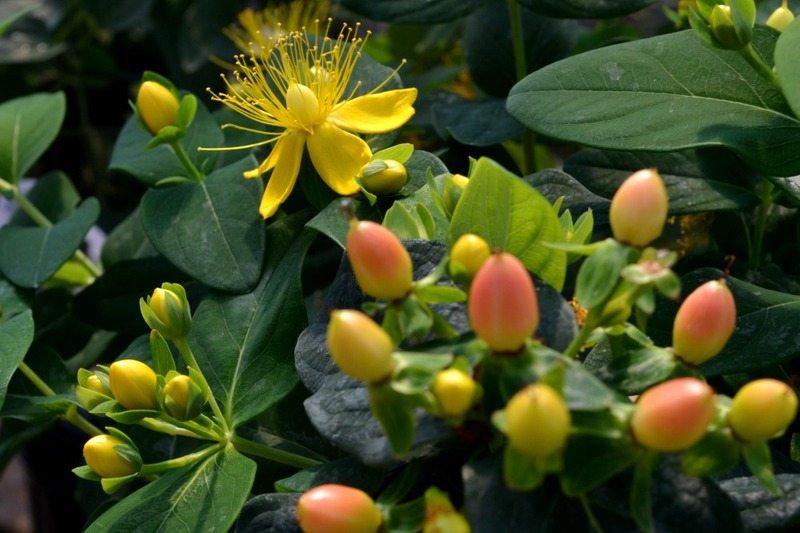 Yellow blooms appear in summer followed by colorful berries, which can be used in fall arrangements. Choose from several different varieties for different berry colors. 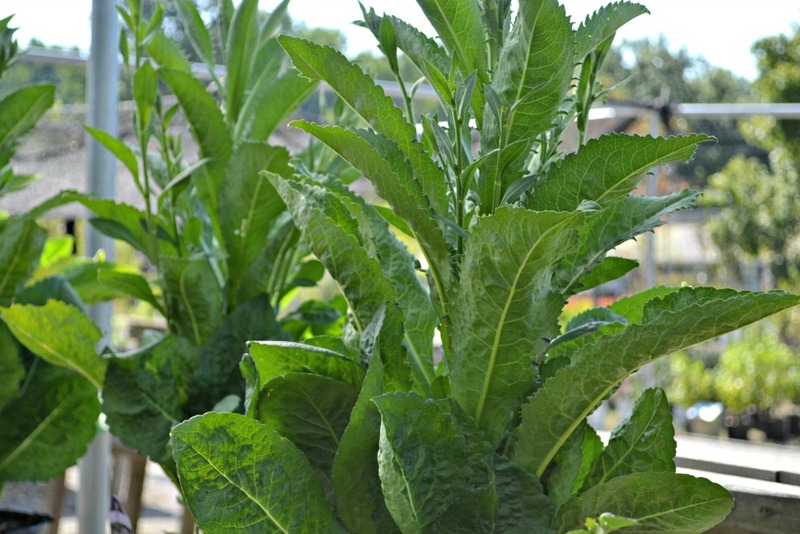 The Hypearls Series prefer sun to part sun and can grow 24-36″ tall. Butterflies enjoy the yellow summer blooms. 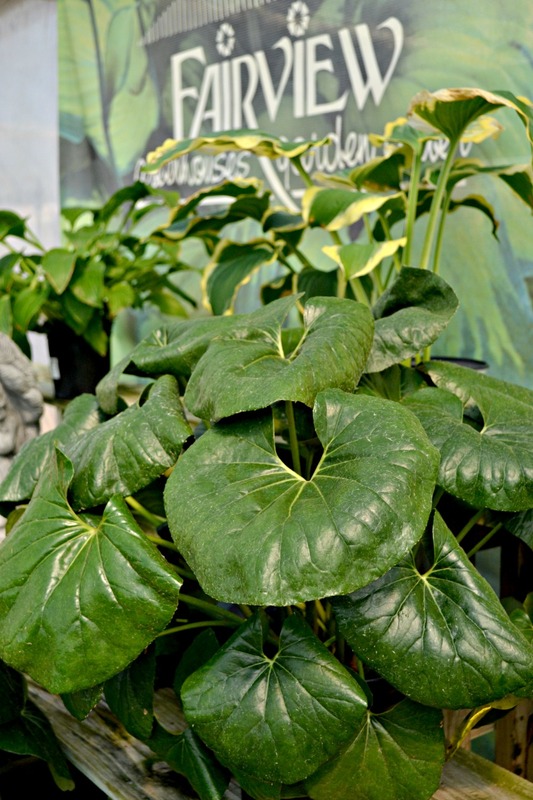 Find all of these favorites in stock at Fairview Garden Center in the late summer and early fall.